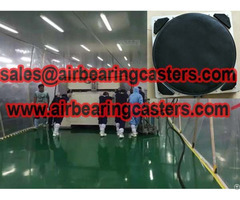 Air casters moving heavy duty loads via a air film between the floor and the loads, save cost, and low profile, is very safety. Air casters machinery moving skates are one of the most powerful machine moving tools applied on material handling marketplace. Our company Shan Dong Finer Lifting Tools co., LTD produce air bearing caster professionally for more than 20 years, our air bearing mover raw material is pure urethane diaphragm which is superior wear resistance, with the best performance and most durable, is very popular on the market. 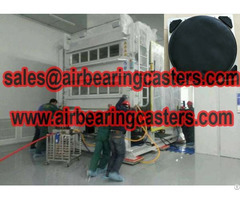 Air bearing mover is easy to operating, with no special training is workable. Air bearing kit will protect your floor when moving, suitable for cleaning room, or expensive floor. 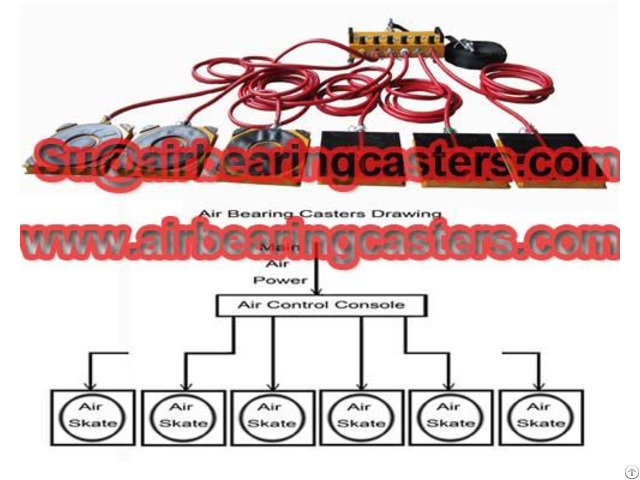 Air bearing casters fit to any shape of equipment, it has six or four air skates, can put anywhere you want. 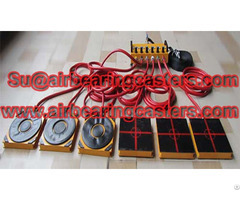 Regarding air casters price list, air casters machinery moving skates details, please feel free contact us. professionally service hope will get your satisfaction.